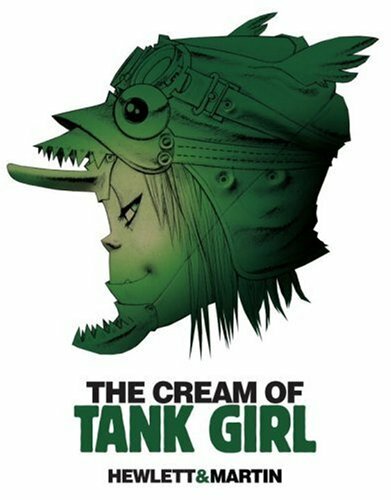 The Cream of Tank Girl starts off with a funny piece by Alan Martin, looking at their student years, tracing back at how it got started. After that, the rest of the book is all art. The pages are filled with sketches, cover art, comics, photos, unpublished and rejected illustrations, storyboards, screenplays (for the movie) and a lot of other stuff from random publications. Captions are provided for a few illustrations, looking back to the hectic days when they are trying to get Tank Girl to print. I still find the kangeroo dude, Booga, disturbing, probably because of the human anatomy without a human head. There are also some refined character designs for Booga, Tank Girl and her tank at the back. Tank Girl fans will love this book. It's should be pretty inspirational for artists too for the graphic art.